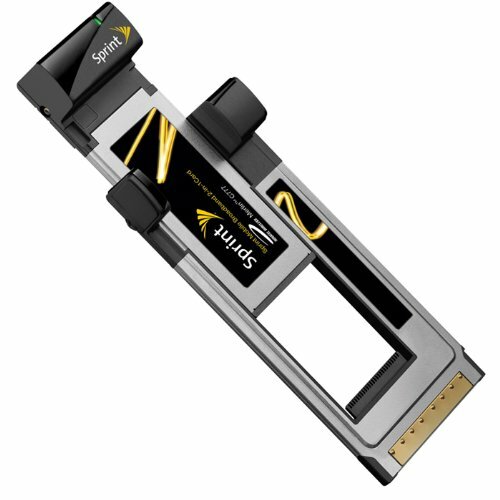 The Novatel Merlin C777 Broadband Card for Sprint is a 2-in-1 combo PCMCIA and ExpressCard to provide most any computer with wireless internet access. With support of the Sprint 3G (EV-DO rev A) network, you can download at speeds of up to 3.1 Mbps and upload speeds of up to 1.8 Mbps, as you surf the internet or access files on a corporate shared network. Simple to install with the included CD and Sprint SmartView software, you are ready to surf the Internet, send and receive emails and more in just minutes, from just about anywhere.